There's a long running joke that kids would rather play with the cardboard box than the toy inside. 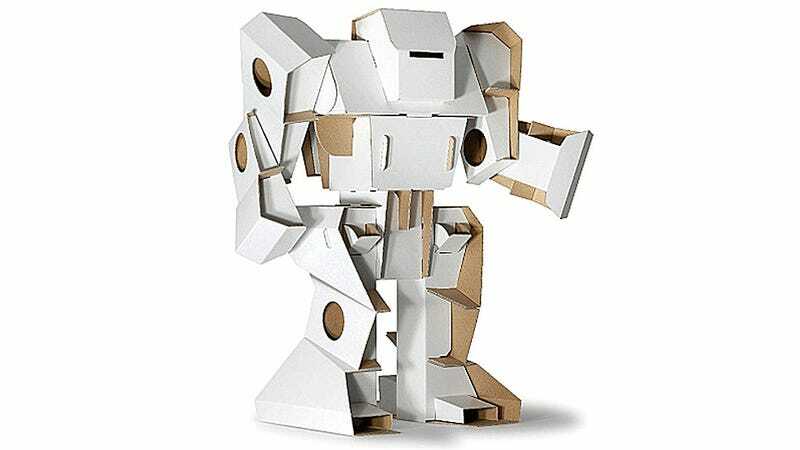 And that's especially true if that cardboard can then be transformed into an articulated 20-inch tall robot like our friend here. Thanks to pre-cut holes and panels, as well as folding cardboard joints and hinges, this creation is more than just a static sculpture—it can also be posed and played with. And you don't need glue, scissors, or a hobby knife to assemble it. You will, however, need colored pencils or markers to give it some personality, as well as $46 plus shipping and handling to get your hands on one.